While I’ll try to avoid as many major spoilers as possible in this, I would suggest that if you’re thinking of playing this then do it, then come back and read this afterwards! Critically acclaimed as one of the best games ever made, The Last of Us is widely seen as the pinnacle of videogame storytelling. Given how much cinema likes to adapt from other art forms nowadays, is it only a matter of time before this hits the big screen? 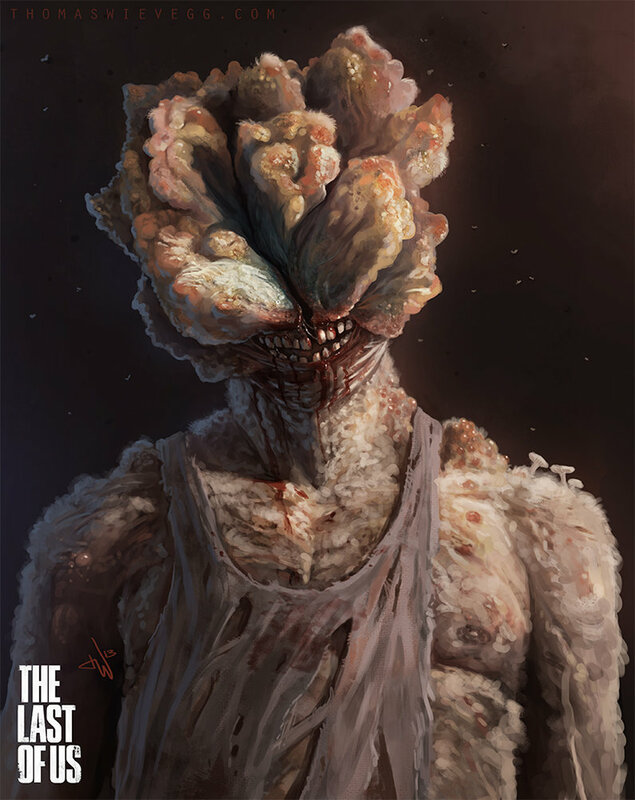 For those unaware, The Last of Us is a story-based survival videogame set in an America ravaged by a mutant fungus, attaching itself to human hosts and turning them into fungi covered cannibals. The game (or potentially film) follows Joel, a man who lost his daughter on the day of the outbreak, twenty years on from that fateful night. By this time civilized America is a thing of the past, the government only maintaining control over the few quarantine zones still in operation, the rest of the country made up of survivors and infected. Joel works as a smuggler alongside his partner Tess in one of the quarantine zones. While tracking down a stolen cache of weapons they stumble upon the Fireflies, a renowned rebel group that have been spending years trying to find a cure for the disease. The Fireflies agree to give the guns back to Joel and Tess in return for them delivering a package to Fireflies outside of the quarantine zone. The package is a teenage girl called Ellie, a girl immune to the disease, and who the fireflies believe is the answer to their search for a cure. The game is largely based around the relationship that forms between Ellie and Joel. A stalker, the most deadly infected from The Last of Us, only respond to sound. Before you say ‘what position are you in to make this call’, about a fortnight ago I decided to finally play The Last of Us. I feel like I should quickly give some sort of opinion on the game, since this is a review blog! While not the most fluid gameplay nowadays compared to modern titles, this is comfortably the best videogame experience I’ve had on a major title. The story, combined with gameplay that can be played in different styles makes this a very engaging title, even for someone like me who is neither a fan of shooting or horror games! 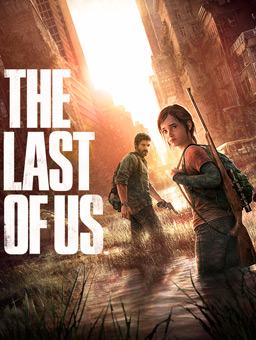 Winning over 240 game of the year awards, The Last of Us is one of the most awarded videogames in history. The game has also been awarded many perfect ratings – including a 10/10 from IGN – and has a Metacritic score of 95, one better than Tarantino’s Pulp Fiction. Praised by many for its storytelling and character development, The Last of Us certainly looks to have the raw materials needed for a movie adaptation! Also, this game has what has to be one of the most harrowing and heartfelt scores I’ve ever heard, in games or film. Composed by Argentinian Gustavo Santaolalla, the composer behind many films including Brokeback Mountain, Babel and August: Osage County, produces some very delicate pieces of music for The Last of Us. The soundtrack album is widely available online, but I would highly recommend you watch this behind the scenes video of his work, which includes a small live performance in the last minute. As its game rating would suggest, this is a very violent game with highly negative overtones. This isn’t the type of thing that would still stick if brought down to the 12A rating widely given to current adaptation hits like The Hunger Games and Divergent. This is perhaps the first big reason why a Last of Us movie hasn’t been seriously talked about as of yet. However, if it was to be turned into a cinematic piece, there’s a lot of different ways this could be taken. As mentioned earlier, the relationship that develops over time between Ellie and Joel is a major story in the game, and would probably have to be the real spine of the movie adaptation. Aside from that you have the infected, a terrifying site that, if done right, would likely be the scariest zombies to grace the silver screen! You also have differing civilizations outside of the quarantine zone – some friendly, some less so, that could be interesting to see pitted against each other if the film producers chose to go down a different route. The infected in The Last of Us are unlike anything I’ve ever seen! One thing I think would have to be added for a film version of The Last of Us as an anti-Fireflies. They are primarily pitted against the government, painted as rebels in the game even though they are really the good guys. In the movie I think you would have to have a truly bad group, a group of evil maniacs to paint a ‘heaven and hell’ picture for the viewer, and also placing the government (who are trying their best, I think) in a more neutral position than they are in the videogame. Overall, with a few tweaks to the story and a strong visionary with a clear direction, this really could be a blockbuster movie. Almost a World War Z 2.0! Note: I’ve since looked into it and, as it turns out, The Last of Us movie is in production! It’s at an early stage, with the creative director behind the game Neil Druckmann working on a screenplay and Maisie Williams (Game of Thrones) rumoured to be playing the role of Ellie, but it is likely to become a thing eventually, so watch this space!